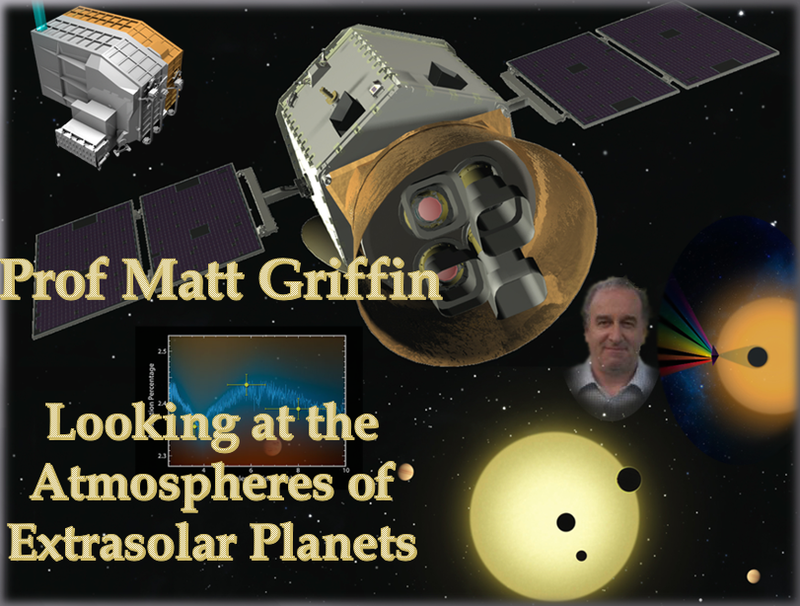 Swansea Astronomical Society Blog: Feb 25th "Looking at the Atmospheres of Extra-solar Planets"
Feb 25th "Looking at the Atmospheres of Extra-solar Planets"
Prof. Matt Griffin, Head of the School of Physics and Astronomy, Cardiff University gave an information-packed lecture on "Looking at the Atmospheres of Extra-solar Planets"
Prof. Griffin's research interests are in Far infrared and submillimetre astronomy and instrumentation, and among many roles, he is the Principal Investigator for the Herschel-SPIRE instrument, which contains an imaging photometer and imaging spectrometer. The photometer operates in three submillimetre bands centred on 250, 350 and 500 μm and can image the sky in three submillimetre 'colours'. The spectrometer covers 200-670 μm and can study the spectral features of atoms and molecules.